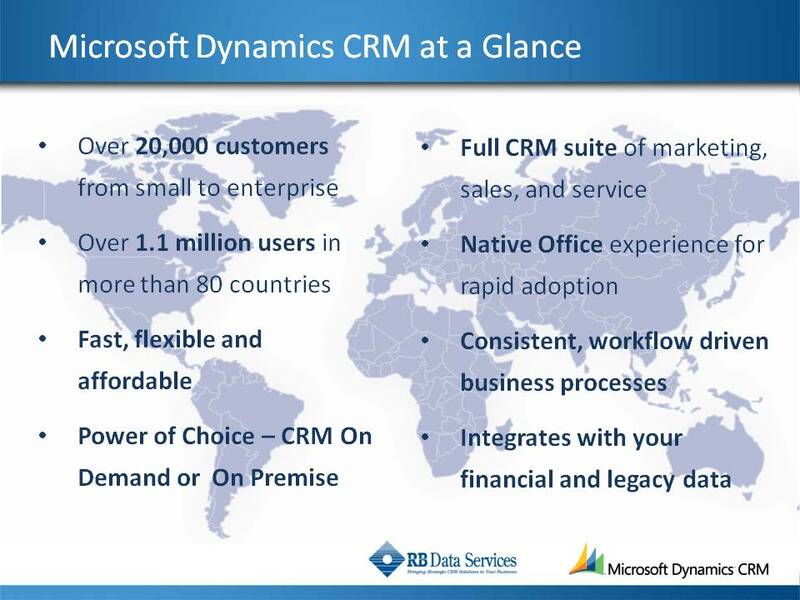 Microsoft Dynamics CRM 2011 | CRM 4.0 (MS CRM) is quite simply the fastest and easiest way to add CRM capabilities to any organization that uses Microsoft Office or Outlook. Because it was designed to partner with Outlook, MSCRM delivers lower training costs, broader user adoption, less application-switching, higher productivity, and an incredibly rapid return on investment. 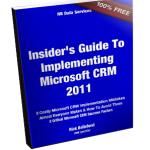 • Tight integration with Microsoft Office and Outlook, allowing employees to easily pull information from MSCRM into Office applications such as Microsoft Excel spreadsheet software and Word. • Quick and easy access to your data through context-sensitive information for populating forms or taking next steps without changing screens. • Customized workspaces that allow users to create, save, and reuse favorite views of customer data without the distraction of unneeded information. • Service Calendar that allows service schedulers and dispatchers to schedule activities by resource, time, or service. • Powerful reporting and analysis tools that make it easy to identify opportunities and problems at a glance. • A new marketing automation module that makes it easy to build customer or lead lists, create targeted marketing campaigns, track the progress of those campaigns, and follow up on campaigns. • Quick Campaign wizard that allows marketers and salespeople to send out e-mail blasts to targeted lists and track response. • Service scheduling that allows you to centrally manage all aspects of a service request, from logging and dispatching to tracking and follow-up. 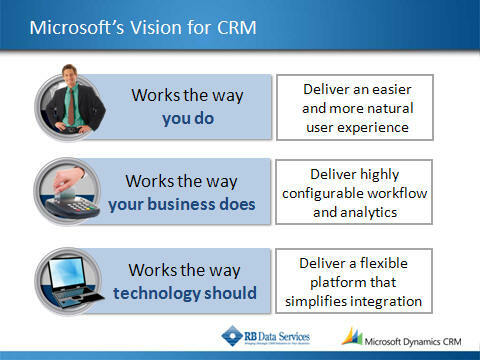 • Easy customization of MSCRM to your business workflow by adding custom objects and activities, designing custom views for different users, and building business logic into the CRM so that MSCRM automates repetitive tasks, tells users next steps, sends e-mails, and raises alerts for open items—nothing falls through the cracks, giving your customers a better experience. Flexible reporting that enables managers to easily see how your business is doing—CRM data can be transferred into Microsoft Excel for analysis or into Microsoft SharePoint Portal Server for updating executive dashboards or collaborating on customer-related documents. • Streamlined installation diagnostic tools that reduce setup time and help ensure a successful deployment of MSCRM. • Fast data searches across large volumes of customer data that help users find the information they need. • Easy to use step-by-step Microsoft Exchange Connector Deployment Wizard that simplifies MSCRM integration with Microsoft Exchange and Outlook. • Simple and fast connectivity to external data sources that gives users access to relevant information. • Advanced management and notification tools that are centralized and give the IT staff the right information to manage a CRM system.